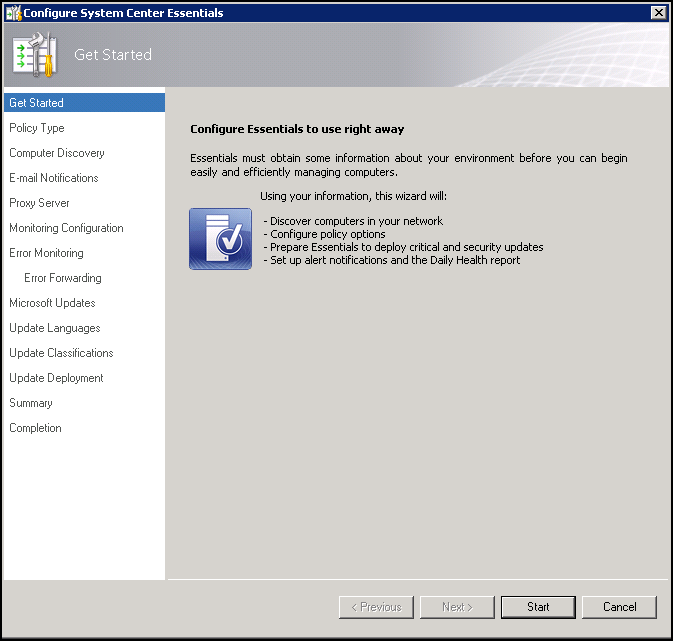 You’ve just installed SQL Server 2008 R2 and System Center Essentials 2010. 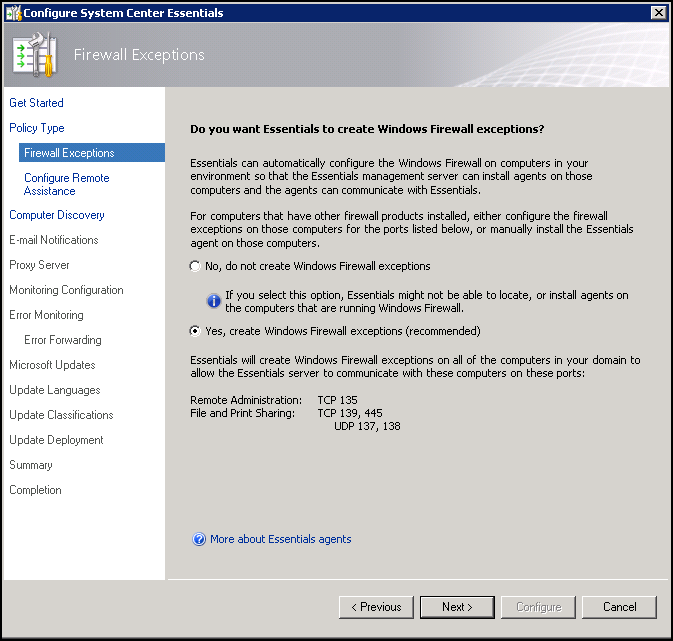 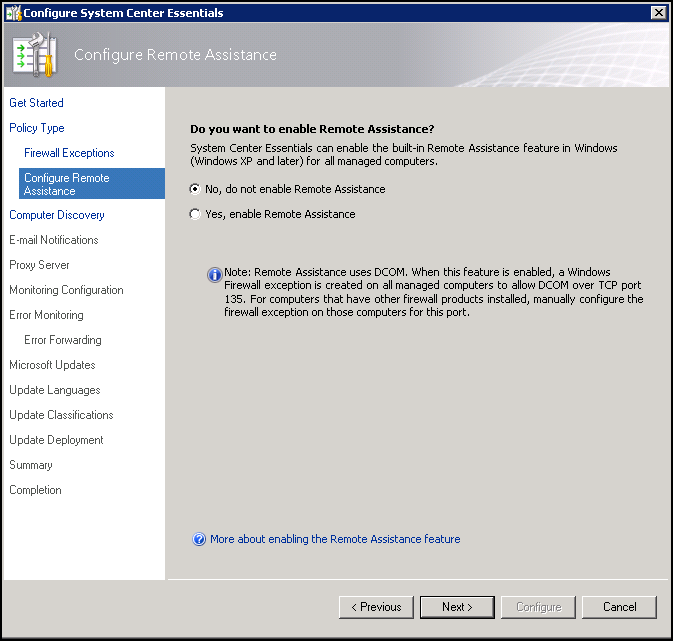 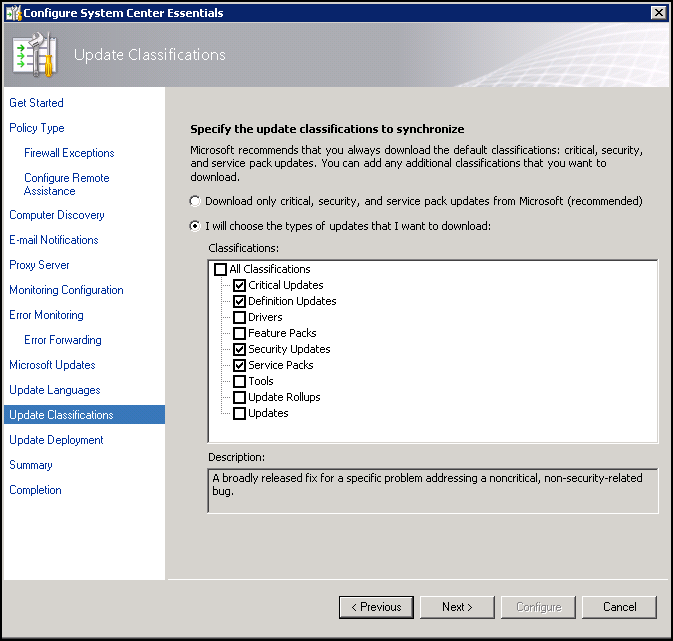 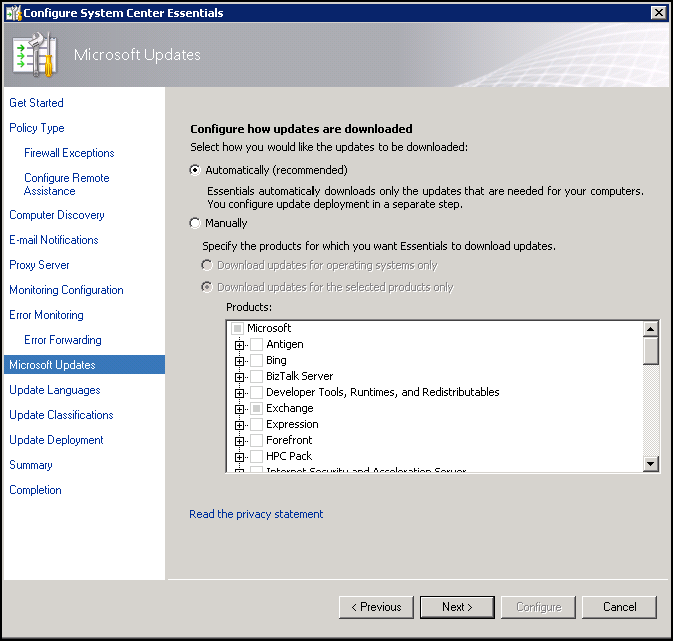 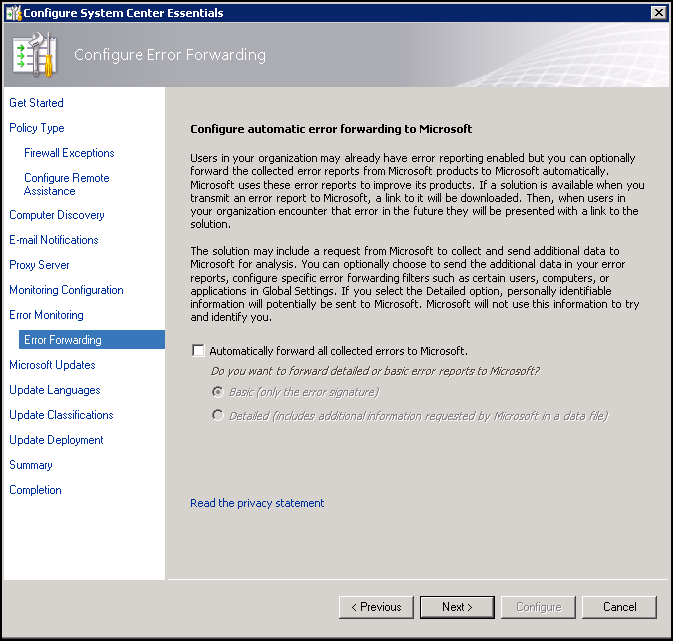 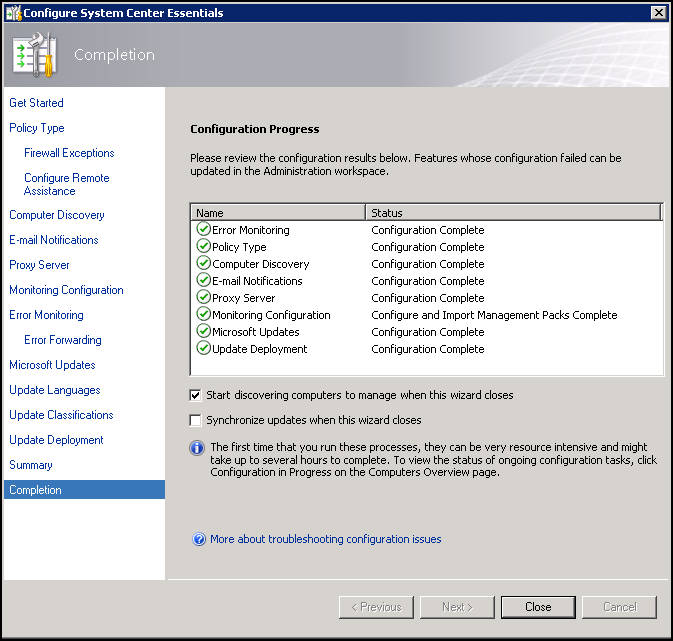 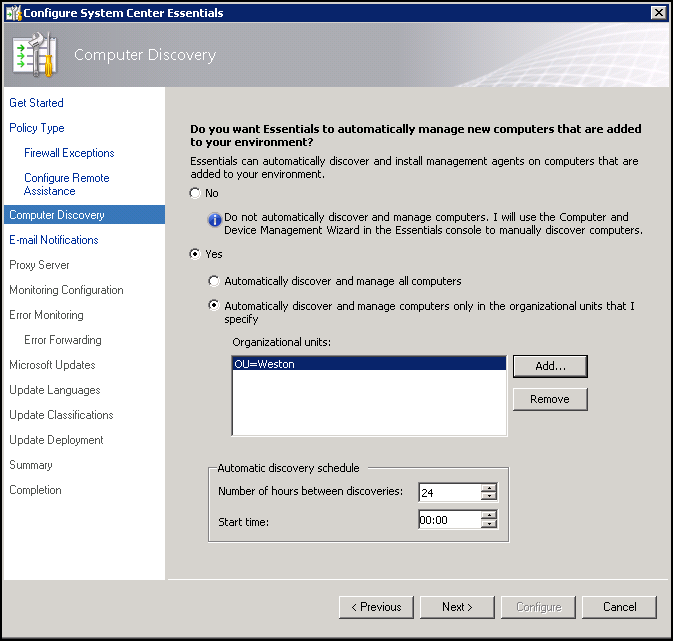 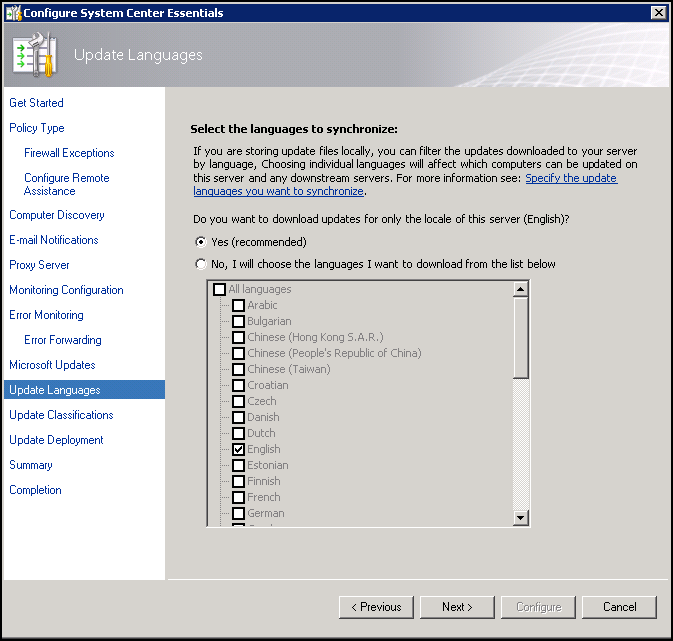 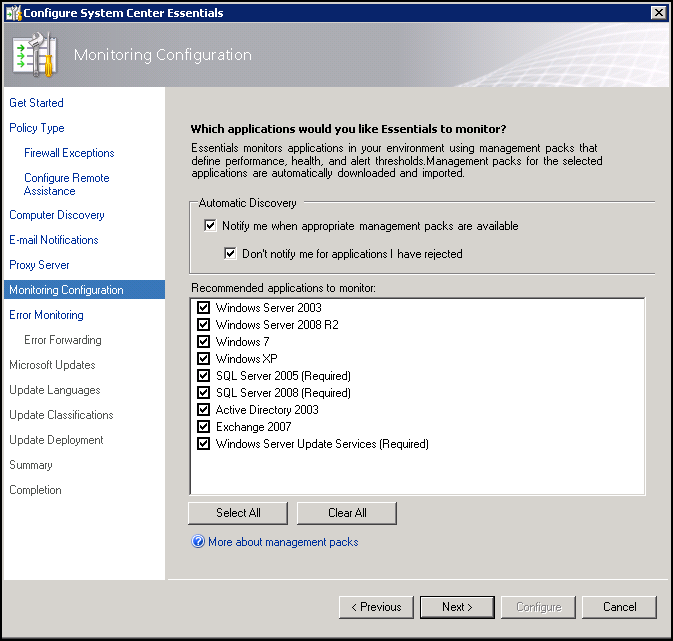 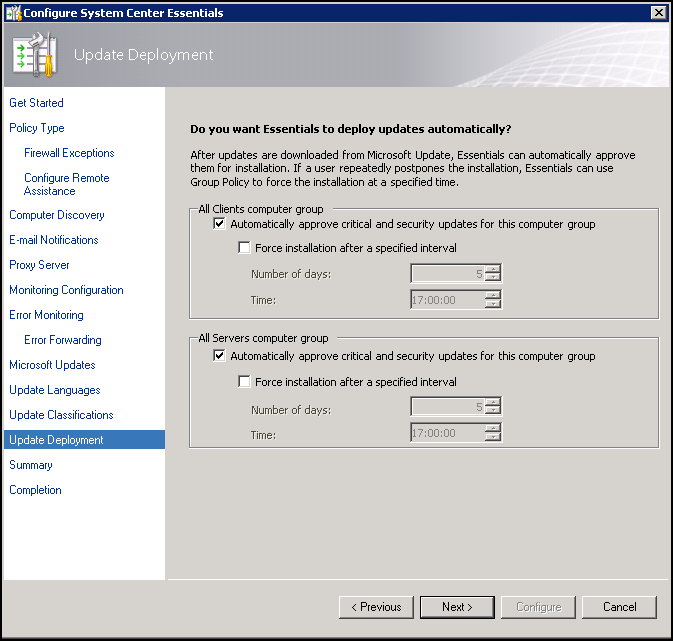 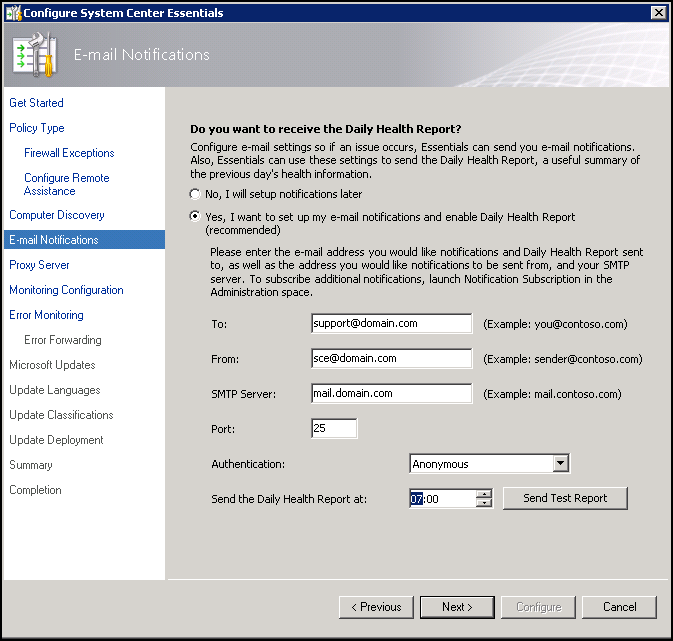 You now need to configure System Center Essentials (SCE). 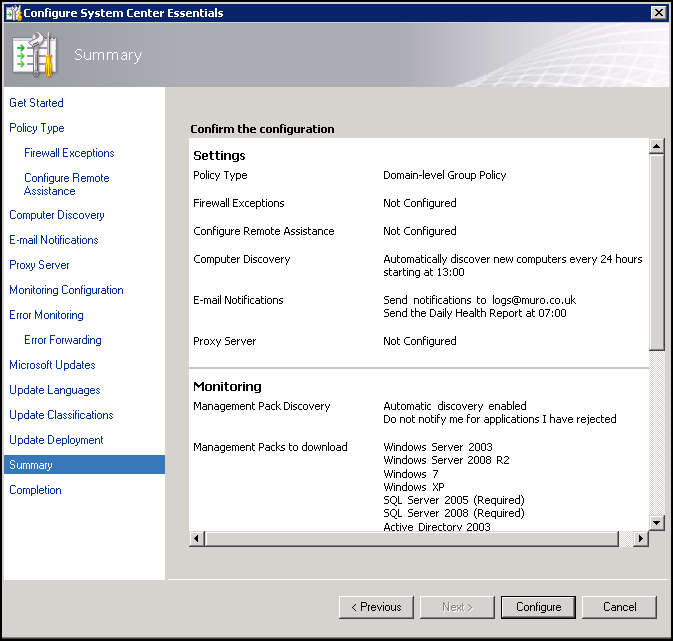 You may find that although the agents install OK on the client computers, they are not added to the SCE Managed Computers group – found in the Users container. 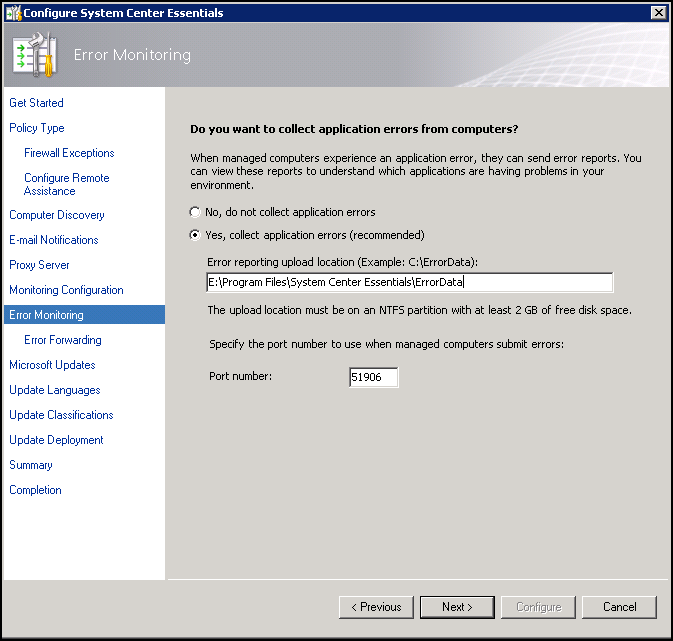 I found a simple reboot of the SCE server solves this. 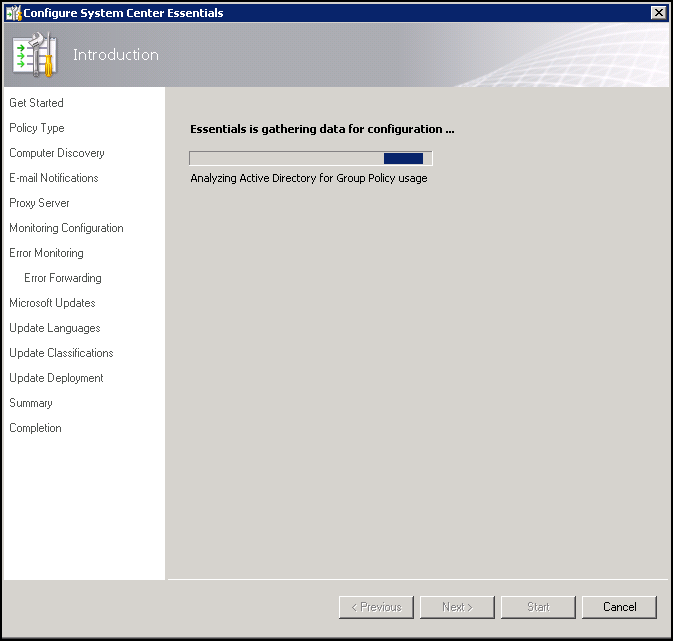 When you place an account in either the Data Warehouse SQL Server Authentication Account or Reporting SDK SQL Server Authentication Account you are telling SCOM that you have a SQL account already in place that you would like to use to access the database. 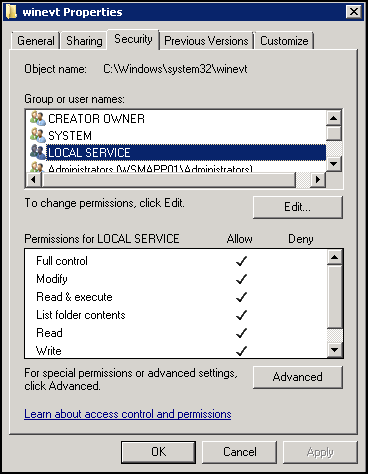 By leaving these accounts blank SCOM then rolls to accounts listed under “Type: Windows” which is directly below the accounts listed above. 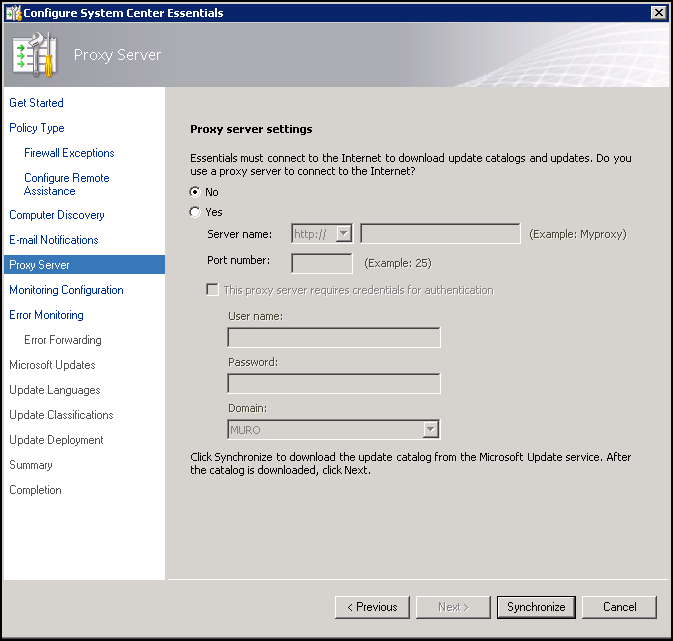 This is great but my problem here is that I want to install sce 2010 to support 10 remote sites that have about 50 to 60 clients and 2 servers the things is how do I go about installing the downstream servers as I think sce doesn’t support this…….if I have to use branch caching that means I have to upgrade the member servers to R2 is there any simpler way to do this without the upgrade to R2 ?